Run by verifiers Rob Blake and Nick Obern, the day started with introductions from the 20 or so assessors from around the south east England region. It was good to catch up with Martin Ray from Plumpton College and Rob Wood from Merrist Wood College. Denise Taylor Trotman from City & Guilds was also presenting , and informed us that of the 660 City & Guild Assessors there are 285 for chainsaw with 220 for pesticide. Rob Blake outlined the rationale for the day. An aerial tree work update was due, but then Lantra held their updates in November last year andin the meantime more indoor material evolved soit was then decided to get everyone together to cover this indoor material. The day’s topics and agenda were based on new products coming from C&G and questions coming to verifiers and issues raised on verifications. Many chainsaw and related assessment schedules including Aerial Rigging with typographical errors had been reviewed and corrected, we were reminded to check we held the most up to date copy for use on training or assessments. The Powered Pole Pruner unit had also been updated to allow those with Units 201 to avoid the same small engine maintenance questions. There was also an occasional chainsaw user unit 0029 that is aimed at people that use the chainsaw as part of a range of other activities, and may be an alternative to the popular Lantra Awards Chainsaw Maintenance & Crosscutting ITA unit. Benefits here were the inclusion of felling techniques for small trees up to 150mm diameter. Assessors need to be reasonably fit, both physically and mentally when carrying out assessments as they are responsible for the safety of the candidate. There may be occasions where the Assessor has to step in, in order to support the candidate. 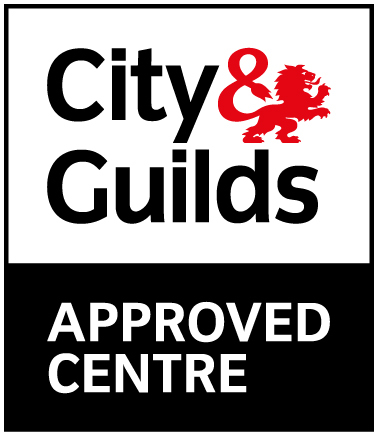 Assessors are required to inform the Centre and City & Guilds when they are taking prescribed medication which may affect their ability to operate machinery safely or assess and support a candidate operating machinery. Husqvarna support material was distributed and discussed, and whilst the working with a chainsaw manual didn’t exactly match the schedule it was well used by the group in their training courses. NPTC Risk Assessment documentation was discussed at length, with problems identified by non-technical auditors and verifiers alike. The upshot being for those few assessors not filling in every box on the form this would no longer be tolerated. Historically the hazard box was used to record the relevant hazards, risks and controls relevant to the assessment being taken as listed in what was called a generic risk assessment, this was later changed to a hazard table covering all possible assessment activities that is still in use today, albeit it’s less easy to draw out those chainsaw related hazards. It is now expected that the significant hazards are recorded, and if necessary the back of the form used if extra space required, but as Nick drily observed there have never been problems with too much information being written. A lighter note was struck when a real quote was read from a RA suggesting that the appropriate control measure to the hazard of bad weather was to pray. Assessor approval and Technical evaluation was also discussed, and we learned about the efforts to make the process both more transparent (skills broken down into sections and a score form available) and uniform across the verifier network. For new aspiring assessors a new section has been inserted where they have to ‘assess’ the verifier using a short part of the assessor guidance, helping to ensure those technically able but lacking in interpersonal ability don’t get through and progress to the assessor training parts. Discrimination on the basis of age is not allowable, so the Technical Evaluations have been made broader and deeper to maintain the credibility and standards. A return to assessor and candidate separate guidance was also promised, a welcome change in my view, if only to stop those few candidates that say ‘but I only need to state 5 points’……….. Rob Blake introduced a new idea in development of refresher and update training, in a generic format linkable to any current NPTC document using the learning outcomes to ultimately build a personalised certificate for the successful candidate. The first section is based on changes in legislation and codes of practice then moves to technological changes, working practices and environmental awareness, finishing in a proposal to develop further training or skills. This is a positive step as it is very flexible in the learning outcomes that can be chosen and combined and mainly in that it is looking at updating rather than just refreshing………. Standard setting was the final part of the day, based on verifier work over the past few years. The outcome was to ensure candidates face a level playing field wherever they might be assessed.